The other day while reading “India after Independence” by Bipan Chandra, I was overwhelmed by thoughts about India and its politics. Soon I was thinking about my political ideology and myself. I have always been confused about this and my opinions in favour of any political ideology have been very frail and feeble. I have always been unsuccessful in deciding which ideology interests me and since the day I have started understanding politics I have been indecisive about my political loyalty. While discussing various issues in different fora – online and offline – I have come across people who subscribe to a particular ideology and are religiously loyal to a particular political party. There have been people whom I can easily term as ‘fanatics’. They fail to understand that there can be difference of opinions and go a little far from civilized form of discussion. 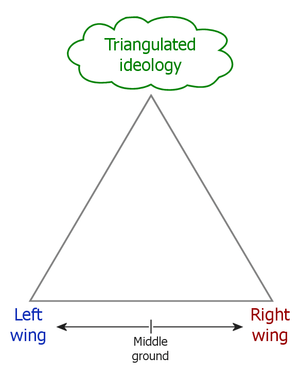 What I fail to understand is that when we say nothing in this world is perfect, how a person can form his political ideology based on a single direction given by that ideology and how a person can be truly loyal to a single party and follow its ideologies under any situation. Daily I receive several threatening and abusive comments on my blog. Thanks that I have the power to moderate and trash such comments. These ideological questions may be still unclear; however, I am clear about what I expect from the political leadership of the country. They may have any ideological background but the focus of all of them should be the same. They should show progressive leadership that can keep the nation consolidated and combat the fear and challenges posed by questions of poverty, diseases, inequality, social backwardness, gender and caste discrimination, caste prejudices, social oppression, honour killings, female infanticide, starvation, corruption, pollution, environmental catastrophe, disparities of wealth and poverty, criminalisation of politics and any force that may be detrimental to the nation and makes people less optimistic and more fragmented – socially, economically and politically and thus end the torrent of wretchedness. Having said all this I think I subscribe to the theory of progress of nation. Can it be called ‘Nationalism’? You know i have always wondered why people subscribe to a certain ideology and defend it vehemently when you ask them polite questions and they don’t really have an answer which they themselves know to be logical. May be it is because these beliefs go down from parents to children (most of my friends support the ideology their parents support) and bring about a sense of some comfort.Questioning what they have grown up believing (even self-introspection) might lead them to unfamiliar territory and threaten to take away the so-called sense of comfort that has formed regarding their beliefs which is seen as an extensions of identity formed over years. Yes nationalism should rather be the only ideology ….but its just wishful thinking.Will not help our esteemed politicians gather vote banks. @swati thanks for the wonderful comment and liking the post. You are right that people have a comfort zone established that doesn’t let them to explore further. As you said, in case of politicians, it is the fear to lose votes. Not really. First of all, an ideology would require a little more material for evaluating policies. A theory is an explanatory narrative that may or may not have been validated by evidence. But what could you hope to explain with “the progress of nation”? Imagine a crowd of ideologically committed citizens of [say] India, discussing among themselves what “progress of the nation” means. It would immediately be obvious that most of the people were in favor of it, but their notion of what is was depended, in turn, on what their ideology was. “Nationalism” is not quite profound enough to qualify as an ideology–not on its own. You might combine it with the view that, for India, progress consisted of reversing colonial underdevelopment–in which case, you would favor a strong industrial policy, or perhaps withdrawal from the global economy (these would involve radically different policies, of course. The first would be developmentalist, while the second would be anarchist). You might combine it with the view, instead, of progress consisting of an autonomous cultural development, to stand against Western cultural hegemony: this would be Hinduvta, I think. Notice that I’ve combined a general moral philosophy, a system of values, and a universal historical narrative. A universal historical narrative is just a general set of assumptions about what makes things happen a particular way in history. A Marxian, for example, shares Karl Marx’s UHN; a Marxist would also share the general moral philosophy (“exploitation is bad and needs to be stopped”) and the system of values (“All humans are valuable, including foreigners”). Thank You James. Visited your blog. Nicely written but not updated since long time. I think I will have to take some more time to read different theories and narratives. And then work out the points where I will be able to fit myself. Till then, I will just follow the progressive route. Globalisation, developmentalist phenomenon will all be the part of it for sure!! Both the terms Ideology / political Ideology and Nationalism have a pejorative connotation for me. One can have an idea about a nation, about the politics about a country / state and one can defend these ideas while giving definition of these as one’s principals.